Thank you for choosing Parkview's Employee Assistance Program (EAP). We employ some of the best counselors in the region! We will do our best to match you with the most appropriate counselor for your specific situation. *All of our counselors have experience with Critical Incident Stress Debriefings. Ken Shields is the Manager of the Parkview Employee Assistance Program. He earned his Master’s Degree in Clinical Psychology with a concentration in Marriage and Family from Wheaton College and has over 20 years of counseling and supervision experience in multiple settings. Ken’s approach is strengths-based, trauma-informed, solution-focused and holistic in nature. Clinical focus has been varied with teens, adults, and couples in areas of depression, anxiety, trauma, navigating life challenges such as health or employment changes as well as some focus in substance abuse counseling. Work settings have included community mental health, inpatient treatment, addiction treatment facility, as well as providing mental health counseling within a group medical practice. Ken is also a Tier 3 Star Behavioral Health Provider for military personnel and their families. Cheryl has over 20 years of experience in mental health counseling and EAP providing assessments with therapy, case management and critical incident stress debriefing. She enjoys working with adults, couples and families but has a special interest in working with women striving for developing and maintaining health relationships. Cheryl has counseled adolesents and adults in the areas of addiction, depressive disorders, anxiety disorders, family relationship and spiritual issues. Incorporates biblical principles into the counseling process for those interested in a Christian perspective. Enjoys providing workshops on various work-related and family oriented topics. Tim has worked in the mental health field for more than 20 years. He has a bachelor degree in business administration and psychology from Malone College, Canton, Ohio, as well as a master's degree in counselor education in Indiana and certified in Applied Suicide Intervention Skills Training (ASIST). Tim has provided counseling services to teens and their parents in a high school setting. Diane Kennedy earned a bachelor’s degree in finance from the University of Illinois, Champaign-Urbana. Her professional background includes experience in banking, auditing, and personal finance. Diane has spent more than 18 years working in the field of consumer finance, specializing in debt management, foreclosure and bankruptcy counseling. She serves as an advocate for her clients and is a knowledgeable link to community resources. Diane’s counseling style has been descried as down-to-earth, compassionate and empowering. Her experience in business, combined with her warm interpersonal skills, gives her a unique presence as a personal financial counselor. Along with individual counseling, Diane enjoys creating and presenting a wide assortment of unique workshops focused on improvement of one’s personal financial life. Shelly has a masters degree in Education from Indiana University and is a licensed marriage and family therapist who has provided counseling services since 2000. Shelly has provided educational presentations to local civic clubs, schools and at local health fairs. She currently provides counseling services to college students in the area. Her expertise is working with young adults. Seth holds a Bachelor’s Degree in Psychology and Master’s Degree in Mental Health Counseling from Huntington University. Seth’s approach to counseling is client-focused and strength-based. Seth has experience working in a variety of settings in the mental health field over the past number of years including home and community based case management, inpatient psychiatric hospital services, and outpatient therapy. Seth enjoys working with teens, adults, couples, and families. Seth enjoys and has experience working with a variety of issues including depression, anxiety, family and relationship functioning, self-esteem and self-image concerns, and crisis management. Seth also provides counseling which incorporates a biblical perspective for those interested in a Christian-based approach. Anna Knight has experience working in community mental health and the outpatient therapy setting and has a special interest in working with children and adolescents. She also has experience working in the school setting, providing mental health services to students and their families with difficulties ranging from depression and anxiety to family and relational issues. Anna brings a person centered and relationship based approach to each interaction. 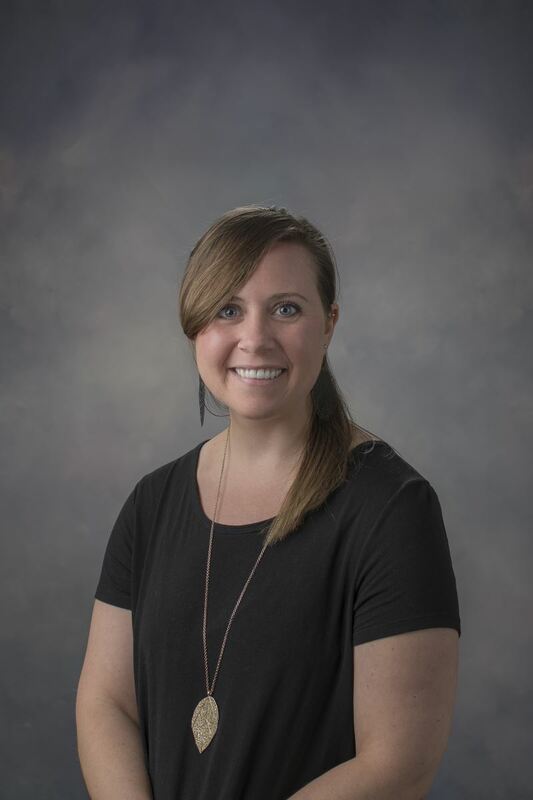 Julie Shearer holds a Bachelor’s degree in Counseling and Sociology and a Master’s degree in Clinical Mental Health Counseling from Grace College. Julie’s counseling approach is strengths-based and solution-focused. She has counseling experience in a variety of areas including depression, anxiety, trauma, addiction, relationship issues, and spiritual concerns. Julie enjoys working with all ages and has training in play therapy and sand tray therapy specialties. She is passionate about walking alongside others to pursue holistic wellness in an empowering and compassionate manner. Obie, a Siberian Husky, was rescued from the Grant County Humane Society in April, 2014. Along with his companion and fellow counselor, Seth, he plays a significant part in helping clients suffering from anxiety, depression, stress and other related issues. He enjoys everyone he meets and is certified by a national dog therapy program. His favorite pastimes are head pats, chasing squirrels and naps. His lovable personality and calm manner have been a wonderful addition to our team.